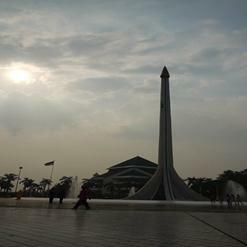 Comprising an area of about 250 acres, Taman Mini Indonesia Indah is a popular park in Jakarta. Also known as Beautiful Indonesia Miniature Park, this park is the synopsis of virtual aspects of Indonesian life. It’s filled with famous buildings like IMAX theatre, Soldier Museum, Transportation Museum and much more. Taman Mini Indonesia Indah also includes various parks such as Orchid Park, Cokot Park, Bird Park, Bekisar Park and much more.